ABS Partners Real Estate secured 5,800 s/f of ground floor, basement and outdoor patio space at 357 Grand Street in Williamsburg, Brooklyn, for Flip. The technology firm provides apartment renters a platform to list available space for subleasing and find subletters. Benjamin Waller and Mark Tergesen at ABS Partners represented the building owner, 357 Grand LLC. Samantha Fishbone at the Squarefoot acted on behalf of the tenant in this deal. Surrounded by a variety of dining and entertainment options, the location has attracted another street-level tenant. Gertie, an all-day 70-seat eatery from restaurateur Nate Adler, will open its doors late in 2018 with a menu curated by local chef – and Marlow & Sons, Diner, and Reynard alum — Will Edwards. Fashion icon Bluefly has moved into its new home, exactly one floor beneath its former one, which served as a base of operations since the company’s inception 20 years ago. The 9,585 s/f space at 42 West 39th Street was designed by architect Stephen K. Chin of Chin deWatteville Design Studio and was built to suit the company’s changing needs as they expand into the next phase of their business. David Levy and Brett Maslin of Adams & Co. represented the tenant and the landlord, 42-52 West 39 Street LLC, in the transaction. EQ Office announced two new lease signings totaling 14,914 s/f with the Rohatyn Group and CM Investment Partners at Park Avenue Tower, its 36-story luxury office tower in Manhattan’s Plaza District. Both firms will occupy a portion of the 15th floor, which EQ Office is prebuilding, by the end of 2018. • The Rohatyn Group, a specialized asset management firm, signed a 10-year, 10,317-square-foot lease to relocate its headquarters from 280 Park Avenue. EQ Office was represented by Simon Wasserberger and Scott Silverstein as well as by a Newmark Knight Frank team of Brian Waterman, Jared Horowitz, Ben Shapiro, Brent Ozarowski and Lance Korman. The Rohatyn Group was represented by Larry Zuckerman and Dan Gronich of Newmark Knight Frank. 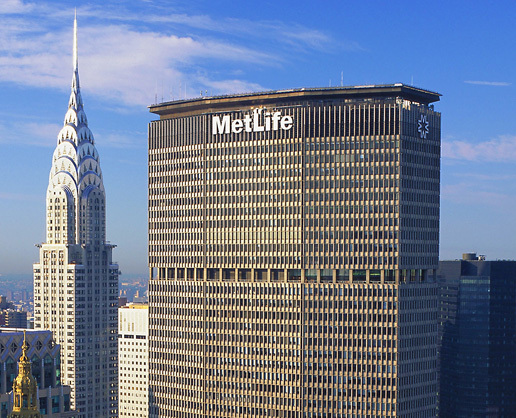 • CM Investment Partners, an investment management firm specializing in secured direct lending primarily to U.S. middle market companies, signed a 4,597 s/f lease to move its office from 601 Lexington Avenue. EQ Office was represent by Simon Wasserberger and Scott Silverstein, as well as by the Newmark Knight Frank team. CM Investment Partners was represented by Silvio Petriello and Taylor Scheinman of CBRE. In a transaction arranged by The Schoen Group at Savitt Partners, Bundesliga International, DFL Deutsche Fußball Liga fully owned subsidiary responsible for international sales and marketing activities of the German top soccer leagues, has inked a 2,187 s/f lease at 200 Park Avenue South. The space will serve as the organization’s first corporate office in the United States. The Schoen Group team of Harrison Katzman, Sam Saffman, Marc Schoen and Michael Schoen arranged the lease for Bundesliga International. Jay Caseley and Charles Conwell acted on behalf of the ownership, 200 Park Avenue South Associates, LLC. Savitt Partners, exclusive leasing agents for 499 Seventh Avenue, arranged four lease transactions at building. Brian Neugeboren, Elliot Zelinger and Bob Savitt of Savitt Partners represented the ownership in all lease negotiations. • The team arranged a 4,800 s/f office lease for Washington, DC-based construction management consulting firm MGAC. With offices in Los Angeles, Seattle and Toronto, MGAC will house its New York City operation on the 18th South Tower of 499 Seventh Avenue. Robert Ancona of Kaufman Leasing Company, LLC represented the tenant in the lease negotiations. • Fashion designer Kimora Lee Simmons (KLS) also inked a long-term, 4,800 s/f lease. A designer of women’s ready-to-wear clothing, handbags and accessories, KLS will house its showrooms on the 17th South Tower of the property. Oliver Petrovic of Savills-Studley acted on behalf of the fashion designer. • Paras Designs, a wholesale firm focusing on men’s and boy’s sportswear, expanded its New York City showrooms at the property. Paras Designs will relocate its operations from a 3,000 s/f space at 525 Seventh Avenue, to 4,800 s/f on the Seventh South Tower of 499 Seventh Avenue. Marc Schoen of Savitt Partners represented Paras Designs in the lease. • International Fashion Group entered into a back-end direct extension on its 4,800 s/f lease on the 12th South Tower of the property for an additional three years. • StoneTurn Group LLP is relocating and expanding to a 13,100 s/f full-floor space. The tenant, which has been in the building since 2014, is nearly doubling in size from 7,234 s/f. Rob Wizenberg of CBRE represented the tenant in the lease negotiations. • Existing tenant DDCD & Partners Inc., a strategic advertising agency that has been located at 17 State since 2011, has relocated on a long-term basis to a tower floor unit. The tenant’s space is being modified to meet its requirements. Corey Borg of Newmark Knight Frank acted on behalf of DDCD & Partners.